Forget Batman Vs Superman - this Super Hero is the talk of town!! 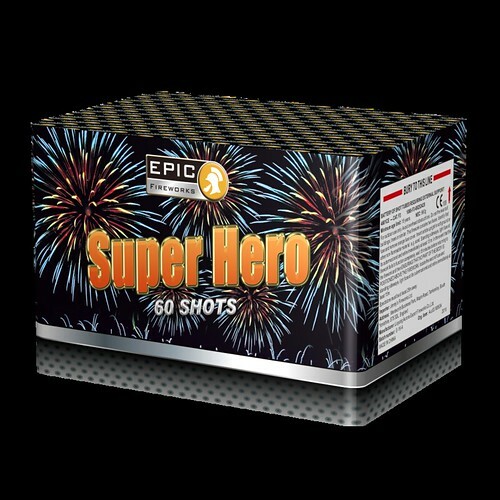 The huge 60 shot Super Hero barrage by Epic Fireworks is very very loud. Firing 60 huge shots in the air with awesome timing and massive breaks the effects include red, green and blue comets to green and silver peonies, glittering palms and huge brocades. Med/Fast paced it is a beauty and would fit beautifully into almost any display.